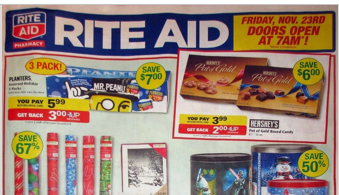 The Rite Aid Black Friday Ad is available online. Don’t forget to sign up to receive all of the Black Friday Ads as they are leaked. See more Black Friday deals at Rite Aid here. New to shopping at Rite Aid? Be sure to read the Rite Aid 101 which explains the details on how to maximize the mileage of your money. Find the official Rite Aid Coupon Policy here. Looking for more? Read more posts about Black Friday Ads 2012 & Black Friday Deals 2012 & Rite Aid Deals.